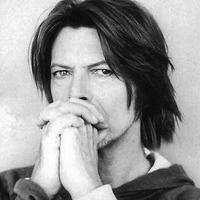 David Bowie is an English singer and composer of rock and pop music. He was born in London in 1947. He is one of the most respected and influential musicians in the history of rock music. His music has been linked to multiple genres such as folk rock, glam rock, soul, and electronic music, demonstrating a great ability to adapt to new tendencies and trends. He is also accredited with being a musical innovator, inspiring and being one step ahead of musical trends. That`s why he is commonly referred to as the "chameleon of rock". Vote and help decide which of his albums were the greatest.